Your guest may have only paid the booking deposit and the remaining amount may be due, or you may have set your payments to get through bank transfer or agreed with customers to receive cash payments upon their arrival. This article shows you how to request payments manually and keep your records up-to-date. Your guest may have only paid the booking deposit and the remaining amount may be due. You can send them an email containing a payment request and remind them to complete any pending transactions before their arrival. Click Menu and select Reservations. 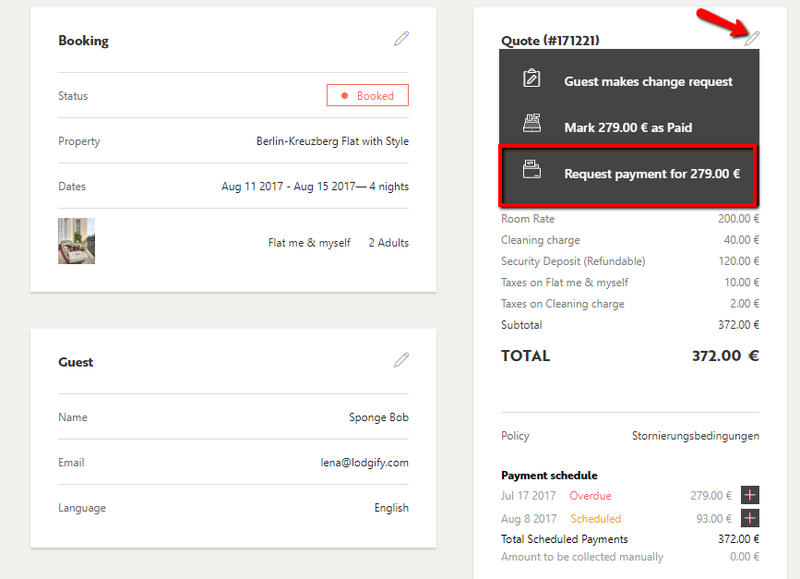 Select the booking that you want to request a payment for. In Quote click the pencil icon and click Request payment for ...€. A new window appears. Edit the email template if needed and click Send. 💡 Note: In case no Policy and Quote Workflow is activated you have to send a payment request via the Transactions box. Your guest may have paid for their booking through bank transfer or via cash payment. The transaction will not appear in your reservation system; hence you should mark it as paid manually. Select the booking you received a manual payment for. 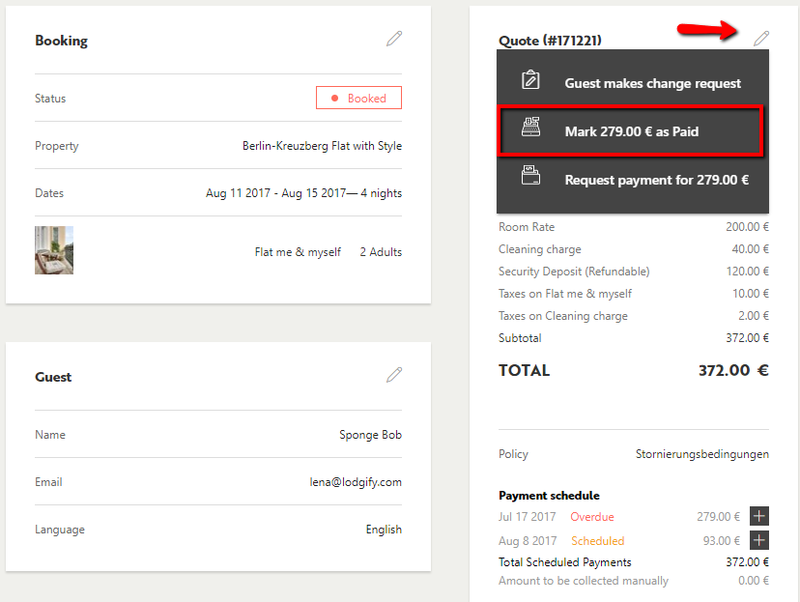 In Quote click the pencil icon and click Mark ...€ as Paid. A new window appears. If you want to send to your guest an email confirmation, edit the template as needed and click Send. Your Transaction Record and Balance Due now reflect the changes.